Spend the 24th (Sun) exploring nature at Sydney Harbour National Park. 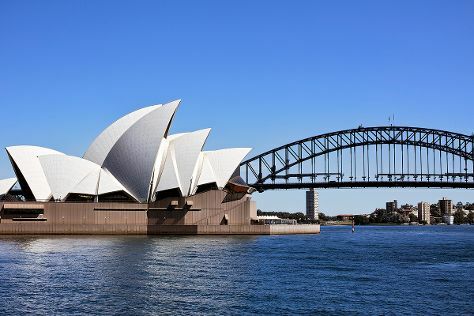 And it doesn't end there: catch a live performance at Sydney Opera House, tour the pleasant surroundings at Manly Beach, admire nature's wide array of creatures at Sea Life Sydney Aquarium, and take a stroll through The Rocks. To see traveler tips, other places to visit, more things to do, and more tourist information, go to the Sydney online visit planner . The Route module shows you travel options from your home to Sydney. In February, daily temperatures in Sydney can reach 31°C, while at night they dip to 23°C. Finish your sightseeing early on the 24th (Sun) to allow enough time to travel to Melbourne. Get out of town with these interesting Melbourne side-trips: Werribee Open Range Zoo (in Werribee) and The Great Ocean Road (in Torquay). Dedicate the 1st (Fri) to wine at some of the top wineries in the area. The adventure continues: take in nature's colorful creations at Royal Botanic Gardens, learn about all things military at Shrine of Remembrance, get lost in a book at State Library of Victoria, and enjoy unforgettable views with a balloon tour. For traveler tips, maps, reviews, and tourist information, read our Melbourne trip itinerary tool . You can fly from Sydney to Melbourne in 3.5 hours. Other options are to do a combination of flight and shuttle; or drive. Traveling from Sydney in February, plan for slightly colder nights in Melbourne, with lows around 16°C. Finish your sightseeing early on the 6th (Wed) so you can travel to Perth. Change things up with a short trip to Fremantle Prison in Fremantle (about 32 minutes away). Dedicate the 10th (Sun) to wine at some of the top wineries in the area. 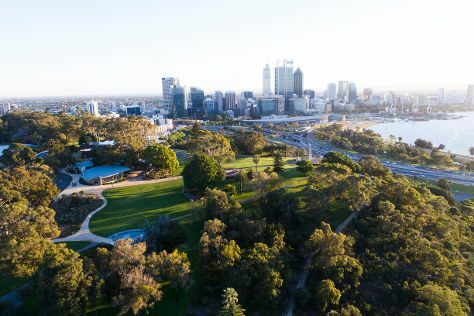 There's lots more to do: take in nature's colorful creations at Kings Park & Botanic Garden, kick back and relax at Cottesloe Beach, explore the activities along Swan River, and have fun at The Nostalgia Box Museum. To find photos, other places to visit, and more tourist information, you can read our Perth trip planner . Traveling by flight from Melbourne to Perth takes 6.5 hours. Alternatively, you can take a train; or drive. The time zone difference when traveling from Melbourne to Perth is minus 2 hours. When traveling from Melbourne in March, plan for a bit warmer days and about the same nights in Perth: temperatures range from 34°C by day to 19°C at night. On the 12th (Tue), wrap the sightseeing up by early afternoon so you can travel back home.